It’s Halloween, But Don’t Be Scared - Remediation Products, Inc. 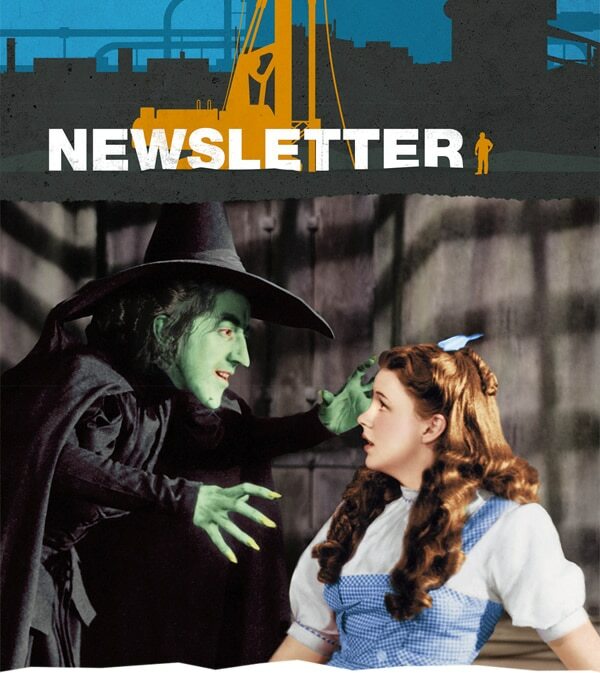 In the original novel, The Wonderful Wizard of Oz by L. Frank Baum, the Wicked Witch of the West was very afraid of Dorothy, but she hid her fear behind threats and deception. A number of regulators and RPI Group clients have urged us to respond to recent communications from one of our competitors. These communications in the form of a letter followed by an email newsletter were both directed to in-situ remediation industry stakeholders. In short, the purpose of their correspondence was to create fear in the marketplace regarding the effectiveness of powdered activated carbon-based injectate (CBI) products. RPI takes exception to the emotions they are attempting to excite. The RPI Group’s 15 years of well documented success in achieving cleanup goals at both petroleum and chlorinated solvent impacted sites throughout the U.S., Canada, and Western Europe, support our position. 1. The competitor’s correspondence cites publications from the State of Colorado as justification for their position. The Colorado study that they reference related to carbon-impacted monitoring wells was fully supported and encouraged by RPI Group. For the record, we were injecting RPI’s BOS 200® at Colorado sites before, during, and now after the study. Our relationship with Colorado Oil & Public Safety (OPS) has been excellent over these many years and that continues to be the case today. 2. There are many positive findings in the Colorado study that were not discussed by our competitor. The study included 36 monitor wells and their replacements. Replacement wells were typically installed nearby the original well and with similar construction. Of the total 36 replacement wells, 26 showed reduced concentrations from pre-treatment conditions. In a slide that was omitted from the competitor’s document, the Colorado OPS study demonstrated that 19 of those 26 new replacement monitor wells showed significant reductions in COC concentrations – many meeting groundwater MCL criteria. This “missing” slide can be viewed here. In point of fact, RPI Group has seldom relied on just existing monitor wells to verify cleanup at sites. Where permitted by state regulations, both temporary and permanent monitoring wells have been installed and used together with verification sampling to generate multiple lines of evidence supporting plume cleanup. 3. All CBI products, including the product promoted by the competitor, may impact monitoring well representativeness. At a recent conference, a well-respected representative from the aforementioned company stated that post-injection cleaning of reagents from impacted wells is best practice for all of us in the in-situ remediation business. We agree. Since the controversy the competitor is attempting to create is about powdered carbon, we probably should point out that our BOS 100® product (for chlorinated solvent remediation) is granular in nature and not part of this discussion. To view our most recent newsletter that highlights a three acre BOS 100® application in CO where 1,400 post-injection monitoring wells were installed to verify treatment in groundwater to below <5 ppb for all COCs, please click here. The Colorado Department of Health and Environment issued a No Action Determination (NAD) letter to our client on August 26, 2016. This project is just one more example of the aggressive sampling work routinely employed by RPI Group and its clients to verify plume cleanup. Over the last year or so an effort has been made to spread a good deal of fear regarding the use of activated carbon for in-situ remediation and its potential effects on monitor wells. Never fear, RPI Group has worked with stakeholders around the country to correct misinformation and develop procedures to either recover or replace monitor wells that had become impacted by injectate containing activated carbon. RPI Group is so confident in our products and procedures for their installation, that if during field work, we impact an existing monitor well and are not able to refurbish the well to the satisfaction of the property owner and/or regulator, RPI Group will replace it at our expense. The Wicked Witch of the West was thwarted by contact with a bit of clean water. Clean water – something RPI Group has a history of creating. Please contact me directly at bob@trapandtreat.com with any questions regarding the content of this newsletter and thank you for your time.